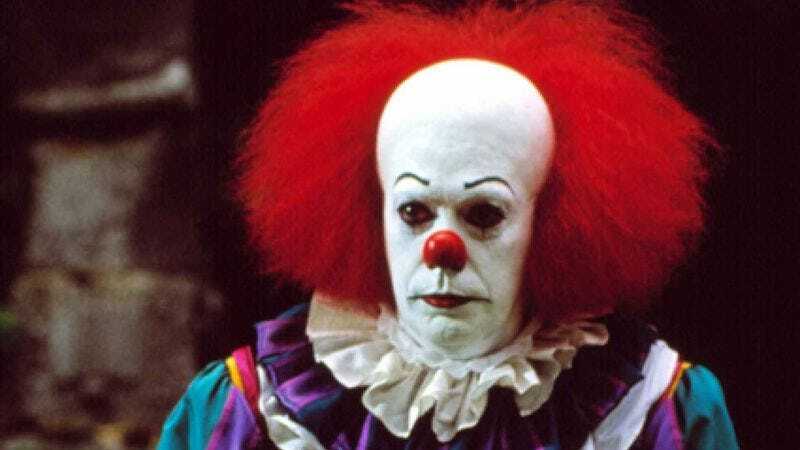 Horror lover Eli Roth is set to take on a classic horror staple: scary clowns. According to Deadline, Roth has made a new horror feature called Clown, which Weinstein Co./Dimension is rolling out in limited release on June 17. Clown’s origin story goes like this: A fan-made trailer went viral, and Roth saw it and thought “hm, I shall make this a movie.” Produced by Roth, co-written by Jon Watts and Christopher D. Ford, and directed by Watts, Clown follows a loving father who becomes not so loving when he dons a cursed clown outfit to perform at his son’s sixth birthday. But after the birthday performance, the costume, makeup, and wig won’t come off, and the curse begins to warp his personality, putting his whole family at danger. Sounds pretty straightforward! And because it’s a Roth production, it’s rated “R,” of course. Clown stars Andy Powers, Laura Allen, Peter Stormare, and Elizabeth Whitmere. Roth is the man behind the Cabin Fever, Knock Knock, the Netflix series Hemlock Grove, and the horrible horror disaster The Green Inferno. He will never stop making horror movies, even if asked nicely.